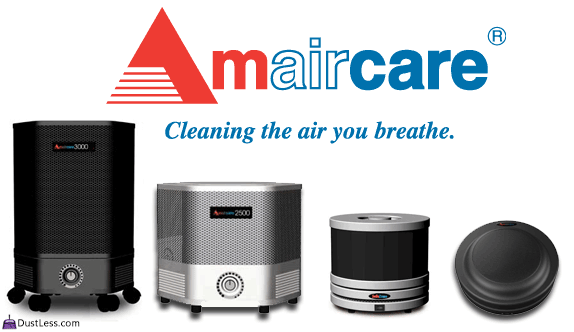 The housings for Amaircare® air filtration systems are made of steel, not plastic, which can be a source of V.O.C.’s. 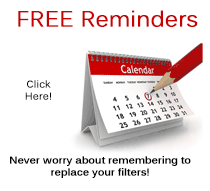 Independent HEPA and V.O.C filters allows for individual filter replacement when necessary. 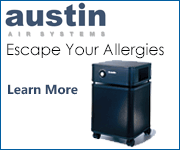 The HEPA (High Efficiency Particulate Air) filter is the most highly regarded mechanical filter. The HEPA filter is made from a mixture of various sized borosilicate fibers, which are pressed together in sheets. The HEPA filter was developed during World War II and was first used by the U.S. Atomic Energy Commission for filtering radioactive dust during testing. Today HEPA filters are used in a variety of medical, electronic and industrial applications, where clean air is essential. 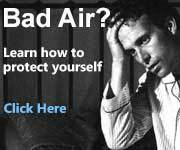 Many people have found using a HEPA filter in their homes and offices to be beneficial to protect against airborne contaminants. 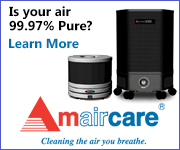 How efficient are HEPA Filter? To be considered a HEPA filter the media must be proven to capture 99.97% that are as small as 0.3 microns(about 1/25,000th of an inch).